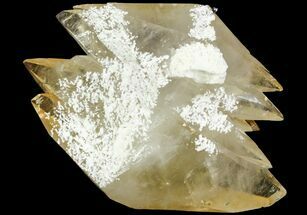 This is a 5.4" wide association of sphalerite crystals on a sparkling dolomite crystal encrusted matrix, collected from the famous Elmwood mine in Tennessee. The Elmwood Mine is a zinc mine in Carthage, Tennessee which opened in 1969, before being closed for many years, only to be reopened in 2010. 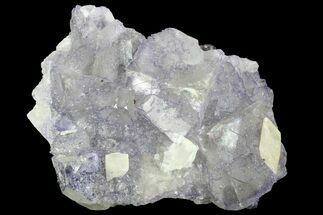 It has produced many world class specimens of Fluorite, Calcite, Barite and Galena over the years. Specimens used to be plentiful as miners were allowed to recover specimens, but collecting is strictly prohibited by the new mine owners. 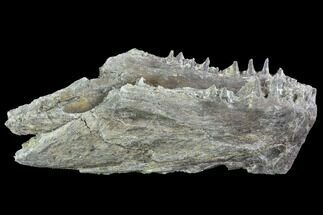 They've gone to great lengths to prevent the mining of specimens, including blasting crystal pockets or filling them with slurry. 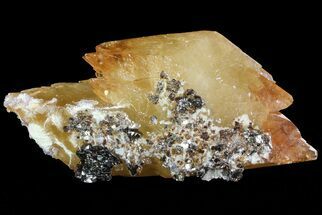 Sphalerite is a part of the sulfides group and typically exhibits a grey/black appearance due to high concentrations of impurities. 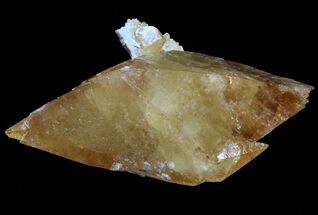 When sphalerite is in it's purest state, the chemical composition is ZnS, and can display a gemmy transparent light tan/yellow color. 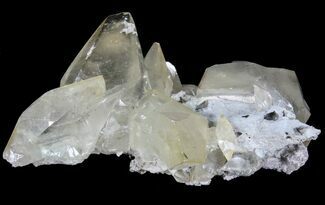 This is one of the few minerals that can form crystals ranging anywhere between gemmy and transparent to opaque and metallic-like. 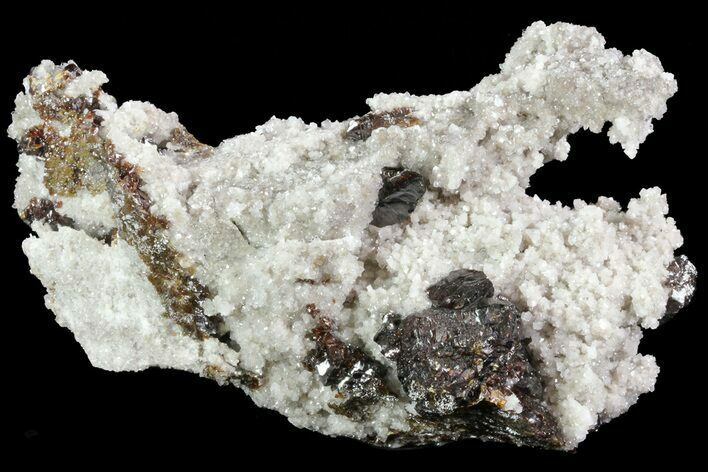 Opaque or cloudy sphalerite tends to be most abundant, due to the ease of iron replacing zinc in the process of formation.